Starting your contractorship in South Carolina entails passing a rigorous administrative process. Most types of contractors have to get a state license from the South Carolina Contractor’s Licensing Board. In order to obtain your licensing, you will have to provide a SC contractor license bond. This is one of the indispensable requirements for all contractors, whether general or mechanical. 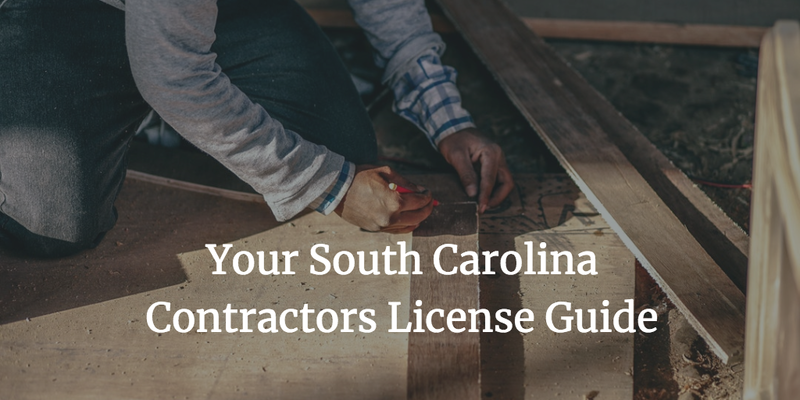 Below are the nitty-gritty details of getting your South Carolina contractors license. The licensing body for contractors in South Carolina is the Contractor’s Licensing Board. It has two main license classifications, which are general and mechanical contractors. In the SC general contractor license classifications, there are 26 sub-categories that include Building, Concrete, and Roofing, among others. Within the mechanical classifications, you can obtain a license as an electrician, plumber, air conditioning specialist, and more. Before you delve in the required documentation, you need to carefully consider your intended activities and identify the exact license classification you will need. Once you’ve pinpointed your license type, you can start completing your application form. It is a detailed document that requires various information about yourself and your business entity. Before you submit your application, you may need to undergo a technical exam, together with the Business Management and Law for Commercial Contractor’s exam. You also have to provide a proof of two years of relevant work experience. Some classifications such as Boring & Tunneling, Highway Incidental, Interior Renovation, Masonry, Railroad, Structural Shapes don’t require a technical exam. You still need, however, to provide a proof of two years of work experience. Together with your completed application and passed exams, you have to provide a surety bond in an amount set by the Board. The exact amounts vary by license type and the dollar value of your contracts. The licensing period for general contractors expires on October 31st of every even-numbered year. As for mechanical contractors, the expiration date is October 31st of every odd-numbered year. There are various surety bond amounts required for the different license classifications. They are further broken down into groups according to the dollar limit per contract. The bond price that you have to pay to get bonded is a small percentage of the required amount that you have to present to the Board. It is based on the strength of your finances. In case your overall profile is strong, your bond premium can be as low as 1% to 3% of the bond amount. The main factors that affect your bond cost include your personal credit score, business financials, as well as any assets and liquidity you can demonstrate in your bond application. The surety you apply with assesses the risk level of your candidature and thus determines your premium. Do you need help with your bond application, or have further questions? Don’t hesitate to contact us at 877.514.5146.